The Islamic State was the world’s first jihadist group to make control of territory its primary objective. It succeeded for a time, holding and administering far more ground than any other jihadist group in Syria or Iraq – or anywhere else, for that matter. But now the world is closing in on the Islamic State, and even its capital is at risk. The U.S.-backed Syrian Democratic Forces began an invasion of eastern Raqqa on June 6. They captured the neighborhood of al-Mashalab before IS stopped their advance. Meanwhile, Syrian army forces loyal to Bashar Assad crossed into Raqqa province and are now less than 50 miles (80 kilometers) west of Raqqa city. The Syrian army has also moved against IS in Aleppo province and outside of the city of Hama, and continues to push east from Palmyra toward the IS heartland. The Islamic State is reeling, no longer in a good position to defend its capital. That means its strategy must change, and along with it, our baseline assessment of its strategic imperatives in Syria. Download PDF file of "Giving Afghanistan a Fighting 'Last Chance'"
For the moment, the key fight for Afghanistan has shifted to Washington and is centered in the White House. It is a struggle over whether President Trump should grant the request of General John Nicholson, the commander of U.S. Forces Afghanistan (USFOR-A) and the Resolute Support Mission for 3,000 to 5,000 more troops, more U.S. combat air support of Afghan forces, and possibly more Special Forces to support the Afghan counterterrorism forces. This is a request that is endorsed by the Joint Chiefs and evidently by the secretaries of defense and state. It is also one that media reports indicate is opposed by those in the White House that still want to put “America First” in something all too close to isolationism. Like every aspect of the Afghan War, it has received little attention in both American political debates and in media coverage. It is too much to call Afghanistan the forgotten war, but it seems to be all too accurate to say it is one where there is too little open debate over what is happening and over U.S. strategy. As for media coverage, it almost universally meets the acid test of bad military journalism: A focus on total new troop levels without any serious discussion of what they will do and whether they can support a more effective strategy. The last three weeks have brought the world's biggest oil-producing region back into the headlines. From a crisis in the Gulf Cooperation Council (GCC) to the political aftermath of a terrorist attack in Tehran, recent developments have renewed concerns that turmoil in the Middle East could cause havoc in the international oil market. Despite the heightened commotion, however, these concerns are misplaced. More than regional tension, the Islamic State's activity in southern Iraq — and perhaps southern Iran — presents a serious threat to energy production. The falling out between Qatar and its fellow members of the GCC is unlikely to derail the production cuts that OPEC recently extended in an effort to curb oversupply and rebalance the market. Tension is running high between Iran and the GCC, as well as among the bloc's members, but oil producers on both sides of the Persian Gulf have long been willing to lay aside their differences in the interest of managing energy markets. As Riyadh tries to persuade the U.S. administration to coerce Qatar into following the Saudi regional agenda, it is no less focused on steadying the oil market to keep its economic reforms on track and preserve domestic stability. China aspires to surpass the U.S. in artificial intelligence, seeking to take advantage of the unique opportunities that this critical emerging technology could confer to its economic competitiveness and military capabilities. To date, the scale of Chinese research in artificial intelligence, as reflected by the number of papers published and cited, has already exceeded that of the U.S., and China also ranks second in AI patent applications. From speech recognition to computer vision, Chinese efforts in artificial intelligence are cutting-edge and evidently constitute a priority for China’s leadership at the highest levels. Within the past year alone, China has released a series of national science and technology plans that seek to advance artificial intelligence and established a national deep learning lab. In particular, China’s new national mega-project for artificial intelligence, known as “Artificial Intelligence 2.0,” will advance and direct an ambitious agenda for research and development, including economic and national security applications. As the U.S. and China compete to innovate in this domain, the relative trajectories of U.S. and Chinese advances in artificial intelligence will impact the future military and strategic balance. China’s ability to leverage these national strategies, extensive funding, massive amounts of data, and ample human resources could result in rapid future progress. In some cases, these advances will be enabled by technology transfer, overseas investments, and acquisitions focused on cutting-edge strategic technologies. At the same time, it is undeniable that China’s capability to pursue indigenous, independent innovation has also increased. Whereas the U.S. military possessed an uncontested advantage in the technologies underlying the Second Offset, dominance in today’s emerging technologies thus remains highly contested between the U.S. and China. Thus, the Chinese military’s approach to artificial intelligence and automation will inherently influence the trajectory of this next military revolution. Al Jazeera Media Network was the victim of a cyber attack on all of its systems, websites, and social media platform, the network announced on Tuesday. The attack comes just days after a handful of Muslim-majority countries cut off diplomatic ties with Qatar after Saudi Arabia announced its intention to do so. One pressure point for longstanding tension between Qatar and its neighbors? Al Jazeera, a Qatari media network often critical of Saudi and Egyptian authorities. The Al Jazeera hack, if related, is but the latest in a series of events that have cascaded in short order since Monday’s announcement. Turkey announced it would speed up the process of amending legislation relevant to the deployment of Turkish troops to Qatar. President Donald Trump sent out a series of tweets siding with the Saudis (and in fact implying that he was the catalyst for the diplomatic decision), and saying the move was critical to fighting terrorism and extremist funding. Like in their previous visits, the diplomats ignored the separatist leaders. “It doesn’t matter whether American diplomats meet us or not,” says Prof Abdul Gani Bhat, former Hurriyat Conference chairman. “What matters is that they hear noises and the noises have started producing music in terms of the urgency in addressing Kashmir.” Nikki Haley, the Indian-origin US ambassador to the UN, is one reason behind this growing optimism. In April, Haley generated much expectation in the Valley and controve­rsy in New Delhi when she said the Donald Trump administration was concerned about tension between India and ­Pakistan and would not wait for things to go worse. She said the US might offer to mediate between India and Pakistan to “de-escalate” the tension and even Trump might come forward to play an active role. The large democracies kept a cordial but safe distance from each other during the Cold War. US-Pak close ties and Washington dispatching USS Enterprise against Delhi during the 1971 Indo-Pak war strained ties further. Later, relations improved; after the 1998 nuclear tests, it went on an upswing, but US maintained a balance among the rivals. How the US under the Trump presidency reacts to a conflict is mired in uncertainty. Close allies since the Cold War, with Pakistan part of a military alliance with the US. Ties deepen further in early ’70s; Sino-US rapprochement begins with Islamabad’s help. America’s engagement in Soviet-occupied Afghanistan elevates Pakistan’s position further. Osama bin Laden’s killing in Abbotabad sours ties, but US Afghan war veterans as key Trump advisers will keep Islamabad’s stocks high. Initial bonhomie between the two new republics ended in a war over disputed boundary in 1962. Much of the current strain stems from that armed conflict, complicated further by growing Sino-Pak ties. Though ties are marked by cooperation and competition, fresh strains have entered over Arunachal and the Dalai Lama. Islamabad’s embrace of the CPEC raises doubts if Beijing will remain neutral during a war. June 2, 2017: In early 2017 a new weapons manufacturer, PLR (Punj Lloyd Raksha), was created in India. A unique feature (for India) of PLR was that it was a joint venture with an Israeli firm that had long made rifles and machine-guns that were very popular with Indian troops. But India has always insisted that their military favor Indian made weapons, even though the locally made stuff tended to be more expensive and less effective than foreign models. Licensed manufacture of foreign designs, usually involving Russian weapons, has been going on since the 1960s. But the Indian made items were always seen, by Russian and Indian users, as inferior. What made PLR unique was that it is the first Indian manufacturer of military small arms that is expected to be capable of producing the foreign designs well enough to be exported. This sort of thing has already been demonstrated with non-military products and the Israelis believe it is possible to do it with military items as well. The Indian small arms market alone is worth $5 billion a year and the export market for Israeli quality weapons is potentially even larger. Initially PLR will manufacture the Israeli Tavor assault rifle as well as sniper rifles and light machine-guns and is already considered a front runner for several major Indian Army contracts. Israel has been doing joint ventures with India for some time and always had problems with their Indian partners not being able to match Israeli standards. The main reason for this was that India long insisted the joint ventures be with state owned weapons manufacturers and developers. Since the late 1990s India has been forced to admit that Indian private manufacturers could match quality standards the state owned firms never seemed capable to achieving. Thus JLR became the first time India allowed a foreign firm to jointly manufacture foreign weapons in India that met the standards Indian troops were demanding (and rarely got from locally made stuff.) At the same time India is allowing privately owned firms to bid on more military contracts and is finding that the resulting products are usually superior in terms of quality, cost and meeting delivery schedules. An issue like “Swachh Bharat” may seem remote from something as lofty as national security, but I start with it because the quintessence of national security lies in creating a long-term vision of national interests, and demonstrating the ability for resolute implementation. India’s failure to attain civilised standards of sanitation is emblematic of a serious deficiency on both counts amongst independent India’s rulers and administrators. In 1920, ICS officer Frank Brayne undertook the “Gurgaon experiment”, which included campaigns to eradicate open defecation, malaria, plague and rural indebtedness. Brayne tried to impose “disciplined defecation” via trench latrines and self-help, but his experiment failed. India’s population has quadrupled since 1920, and the quantum of human excreta on its landscape has, no doubt, kept pace. If we ever overcome this national ignominy, the credit will go to Narendra Modi’s vision in launching a national campaign. The success of Swachh Bharat will, however, remain contingent upon its implementation by Brayne’s Indian successors. Today, when the nation is beleaguered by grave security threats, and New Delhi seems bereft of ideas, there is a need to undertake an agonising reappraisal of our national modus operandi. A rapid environmental scan highlights some conspicuous examples of the Indian state’s failures to ensure national security for want of vision and resolve. If Russia and China were genuine stakeholders in ensuring the peace and stability in Afghanistan then both these Major Powers would have not stooped low in aligning themselves with Pakistan –a nation globally disreputed as a sponsor of Islamic Jihadi outfits to serve its political ends. Have Russia and China forgotten that they too have been subjected to Islamic Jihadi onslaughts with footprints leading all the way to Pakistan? Pakistan seems to have been emboldened towards increasing use of the Taliban and Haqqani brothers for generating turbulence in Afghanistan, lately. This arises from exploiting the uncertainty vacuum caused on Afghanistan by the stances of the new Trump Administration in the United States. More importantly, Pakistan stands emboldened by its inducing China and Russia in a Trilateral of unholy geopolitical convergences in meddling with Afghanistan’s peace and stability. China’s strategic calculus imperatives dictate that South Korea never achieves reunification with North Korea and hence the futility of any of South Korea’s episodic “Sunshine Policies”. Addedly, China’s destabilising forays in the South China Sea and in the East China Sea closer home to South Korea should provide future pointers to South Korea of Chines overall designs in North East Asia. Can South Korea ignore these danger signals? Within a year of Communist China’s monolithic and authoritarian regime emerging in Beijing, China militarily intervened in the Korean War not only to ensure that its Communist buffer and proxy state of North Korea survives as a buffer state but also as a major military offensive to bring the whole of the Korean Peninsula under a Communist regime. Hence Communist China’s military push all the way to the southern-most Pusan perimeter. The tide was turned by General MacArthur’s militarily historic and epic landings at Incheon completely outflanking the Communists drive to the Southern tip of South Korea. This forced Communist Chinese forces to recoil and further pushed by General MacArthur-led UN Forces to virtually all the awry upto the Yalu River. General MacArthur‘s plans to cross Yalu River were negated by USPresident Truman who relieved General MacArthur of command. History would have been different today. Be as it may, the fact still remains that South Korea figures even more critically in Chia’s strategic calculus today as China wishes to establish its hegemony. Russian President Vladimir Putin made another trip to China last month (May 14–15) to address the Belt and Road Forum. But his speech at the summit’s opening highlighted that Russia and Chi­na ascribe completely different meaning to Beijing’s ambitious One Belt, One Road (OBOR) initiative. The Russian president perceives the OBOR (a collection of trans-continental transit mega-projects designed to connect the markets of East Asia with Europe) first and foremost as an “integrationist” enterprise. He praises the concept of “Eurasia” over precise economic proposals, calling simply for producing a “foundation for a larger Eurasian partnership” (Kremlin.ru, May 14). Thus, what Putin actually hopes to achieve by supporting the development of the OBOR is, arguably, to bring both the Russian Far East and Central Asian states closer to Moscow: politi­cally in the latter case and economically in the first. 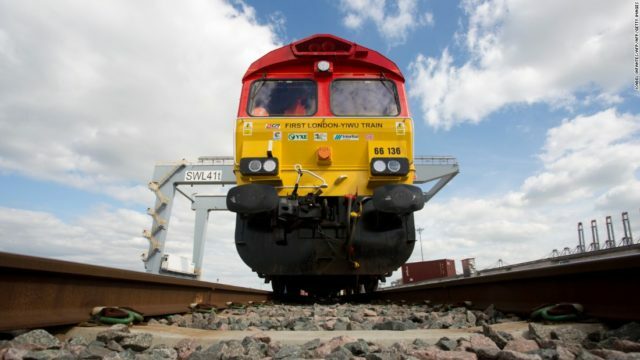 Chinese leaders, on the other hand, envision another project: they wish to facilitate the development of China’s Western provinces through growing exports (Cbbc.org, accessed June 6; World Financial Review, January 25, 2015). The Russians want an “ever closer union” with Eurasian post-Soviet states, i.e. are process-focused; the Chinese are looking for new markets, i.e. are results-driven. This makes the two visions incompatible. A team of terrorists struck the Iranian Parliament and the tomb of Ayatollah Khomeini on Wednesday. At least 12 people were killed, according to Iran’s state media, and ISIS quickly claimed responsibility. Iran’s Revolutionary Guard Corps blamed Saudi Arabia, raising tensions in the region dramatically. The attack is a significant development, to grossly understate the matter. Tehran had long avoided being hit by the types of “martyrdom” operations that routinely rock the neighboring capitals of Baghdad and Kabul. This is no accident. The Iranian government’s security services are ruthlessly effective at suppressing all forms of opposition, including both legitimate protesters and those with ill-intentions. More important, perhaps, is the fact that the Iranian regime cut a secret deal with al Qaeda. Osama Bin Laden’s organization and its spin-off, the so-called Islamic State, have fought against Iran’s proxies in Iraq and Syria for years. Killing Shiites is a blood sport for ISIS’s Sunni jihadists. And Abu Bakr al Baghdadi’s so-called caliphate reportedly has attempted to strike inside the mullahs’ country before. The group routinely agitates against the Iranians in its videos and propaganda statements. Yet, it wasn’t until now that ISIS successfully attacked the heart of Tehran. The pace of the current Palestinian terror campaign against Israelis continues to decline. Palestinian media, particularly in the West Bank, continues to encourage these suicidal lone wolf attacks but fewer Palestinians are willing to participate. A major reason for this is the attacks don’t change anything for the Palestinians and appear to be making their situation worse. For example a growing number of Western donor nations are cutting or halting their financial aid to the Palestinians. This is largely because both Fatah and Hamas have made it clear (especially in the Palestinian controlled Arab language media) that they are not interested in making peace with Israel under any conditions and strive to drive all Jews out of what is now Israel and replace that with a Palestinian state. Arab supporters are angry as well, but more about the Palestinians constantly squabbling among themselves and supporting Islamic terrorist groups. The Arab donors (especially the Gulf oil states) have quietly criticized the Palestinians for years about their inability to make peace with Israel, despite plenty of opportunities. This criticism increased after the Palestinian leadership spilt in 2005 as the more radical Hamas took control of Gaza. It became public in the last few years as the Arab states realized they were better off supporting Israel than the Palestinians . Since 2016 Arab governments have allowed more and more of this criticism to be discussed in public. This process accelerated after 2016 when the Arab Gulf states admitted they could no longer trust Hamas (or Fatah either) and are put off by the recent Iranian announcement that it was still subsidizing Hamas, which has run Gaza and its nearly two million Palestinians since 2005. Iran supported Hamas early on. Ukraine Blocks Russian Social Networks: Anti-Democratic Move or Antidote to Disinformation? Ukrainian President Petro Poroshenko signed a decree, on May 15, introducing a new package of sanctions against Russian companies and individuals (President.gov.ua, May 15). 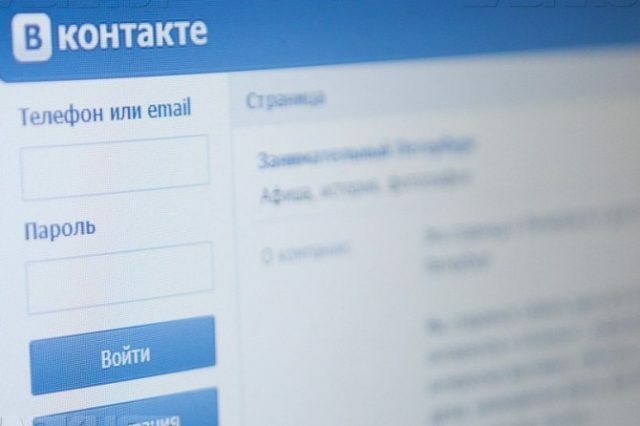 However, it was the decision to block two extremely popular Russian online social networks—Vkontakte (VK) and Odnoklassniki, embraced by more than 15 million Ukrainians—that produced the most heated debates. To justify their decision, Ukrainian officials argued that these resources are regularly employed by Russia for intelligence-gathering and propaganda purposes (Epravda.com.ua, May 16). In the immediate aftermath, the Russian Internet space (Runet) lost approximately half of its normal Ukrainian traffic and the number of Ukrainian-based Facebook users increased by 35 percent, whereas the popularity of the Opera browser “went through the roof” (Tns-ua.com, accessed June 5). Notably, Opera features free, built-in virtual private network (VPN) support, allowing the user to mask his or her physical location and thus circumvent geolocation-based restrictions. The announced ban of Russian social networks does not automatically mean that the Ukrainian government will be actually succeed in blocking this venue for espionage and propaganda operations coming from Moscow. Two main factors must be considered: First, a full eradication of Russian social networks will require both time and money and will not ensue immediately. According to Oleksandr Fedienko, the head of the Ukrainian Internet Association, this process might take up to two years and $1 billion. The first deputy director of the presidential administration, Dmytro Shymkhiv, as well as the head of the association Telecommunication Chamber of Ukraine, Tetiana Popova, both provided a similar assessment (Pravda.com.ua, May 16). Another limitation is based on the fact that, currently, Ukraine lacks “proper mechanisms” for this purpose. This was one of the most immediate challenges emphasized by Ukrianian Lieutenant General Vasyl Grytsak (112.ua, May 22). U.S. Army officials warn the United States could fall behind. U.S. military officials in recent years have preached the need for a convergence of capabilities, including cyber and electronic warfare, into fully integrated operations. That need gains urgency as it becomes increasingly clear that Russia already has made significant progress toward that goal. Russia is pulling together traditional communications intelligence and electronics intelligence, human intelligence and geospatial intelligence collection and analysis with social media exploitation, Gen. Fogarty added. Russia’s adversaries can be “fixed” using cyber and electronic warfare because troops who cannot communicate with others become effectively stuck in place and make easy targets. World powers have often been known to intervene, overtly and covertly, to overthrow other countries’ governments, install pliant regimes, and then prop up those regimes, even with military action. But, more often than not, what seems like a good idea in the short term often brings about disastrous unintended consequences, with intervention causing countries to dissolve into conflict, and intervening powers emerging as targets of violence. That sequence is starkly apparent today, as countries that have meddled in the Middle East face a surge in terrorist attacks. Last month, Salman Ramadan Abedi – a 22-year-old British-born son of Libyan immigrants – carried out a suicide bombing at the concert of the American pop star Ariana Grande in Manchester, England. The bombing – the worst terrorist attack in the United Kingdom in more than a decade – can be described only as blowback from the activities of the UK and its allies in Libya, where external intervention has given rise to a battle-worn terrorist haven. The UK has not just actively aided jihadists in Libya; it encouraged foreign fighters, including British Libyans, to get involved in the NATO-led operation that toppled Colonel Muammar el-Qaddafi’s regime in 2011. Among those fighters was Abedi’s father, a longtime member of the al-Qaeda-linked Libyan Islamic Fighting Group, whose functionaries were imprisoned or forced into exile during Qaddafi’s rule. The elder Abedi returned to Libya six years ago to fight alongside a new Western-backed Islamist militia known as the Tripoli Brigade. His son had recently returned from a visit to Libya when he carried out the Manchester Arena attack. Download PDF file of "Meeting Security Challenges in a Disordered World"
LONDON — Naval forces will need to rely on more automated electronic warfare systems if warships are to survive an attack by hypersonic missiles, according to an expert scheduled to speak at the EW Europe conference in London on June 8. Future hypersonic weapons engagements will present scant warning cues to platforms, and will be delivered so fast that traditional man-in–the-loop responses will be unable to cope, according to Paul Bradbeer, the electronic warfare operational support sales manager at MASS, a leading British company in the field. Bradbeer is expected to tell conference delegates at the EW Show, which opens here June 6, that the key to countering this emerging threat will be to use machine learning to automate EW responses. This, he's to say, maximizes such defensive capabilities by exploiting every piece of information available to the platform: establishing and filling platform information gaps, using data to locate your position in another’s kill chain, and then taking effective action to disrupt the kill chain. “In future, we will need machines to interpret these indicators and assess the likely sequence of events. The response could involve machine-led reconfiguration of combat systems and initiation of countermeasures,” Bradbeer said, speaking ahead of the show opening. OTTAWA – Canada will add hundreds of new elite special forces commandos, wage offensive cyber warfare attacks and deploy armed drones to international battlefields as part of its military response to new global security threats. The new defence review identifies a wide range of harrowing and borderless threats, including the “grey zone” of hybrid warfare, ever-present terrorism and climate change. Some of Canada’s military operations will include government-sanctioned cyber attacks and drone strikes on foreign threats, and an increased role for special forces in overseas missions. The review says this new, elite and futuristic approach to war fighting will respect domestic and international laws. However, the very nature of the cloak of secrecy that envelops almost all of Canada’s special forces, as well as the active expansion of fighting in cyberspace will likely raise questions about transparency and civil liberties. The policy increases the ranks of special forces by 605 people. They will get new airborne intelligence, surveillance and reconnaissance tools. Ever since Russia’s efforts to meddle in the 2016 election came to light, U.S. officials -- particularly a number of senators -- have been calling for a comprehensive cyber deterrence strategy. While a number of former officials have testified that a silver-bullet deterrence strategy is unlikely, one former Pentagon executive said deterrence is possible, but complicated. Unlike nuclear deterrence, which deals with relatively few actors and variables, cyber deterrence requires addressing a wide range of threats, actors, unknown capabilities and escalation potentials, said James Miller, former under secretary of defense for policy. Speaking at a Brookings Institution panel on cyber threats, Miller, who also served as co-chair of the Defense Science Board’s Task Force on Cyber Deterrence, said deterrence must be tailored to individual actors, which he identified primarily as Russia, China, North Korea, Iran and terrorist groups. "And in order to deter them -- rather than just respond to them -- you need to have a plan in advance, you need to communicate to some degree your capabilities and your intent to respond," he said. "Some of that is done through action, not just through speeches." The global ransomware attack that hit the NHS made headline news. Chris Bond talked to one Yorkshire expert about the growing threat posed by cyber hackers. Two years ago, the then Chancellor George Osborne warned that Islamic State militants were trying to launch cyber attacks on targets in the UK such as air traffic control systems or hospitals. When the long-feared attack came, though, it wasn’t militants firing the opening salvo in a new cyber war, it was hackers using an indiscriminate ‘ransomware’ virus that quickly spread around the world. The malicious software or malware, known as WannaCry, affected more than 300,000 computers in 150 countries, crippling organisations, government agencies and global companies. Here in the UK it was the NHS that suffered most, with 48 trusts in England – including some in Yorkshire – compromised when the attack targeted computers with outdated security. It’s still unclear who was behind last month’s attack but it exposed our reliance on digital technology and how vulnerable we are when it’s compromised. But what is clear is that ransomware – a type of malicious software designed to block access to a computer system or its data until a ransom or sum of money is paid – is on the rise. John Clark, Professor of Information and Computer Security at the University of Sheffield, says the cyber threat has grown in tandem with our increasingly digitised world. “It pervades every aspect of our lives. Our transport networks are highly digitised, our education system is increasingly digitised and so is our health service. Over the last 20 years we’ve been heading towards greater digitisation and that means online security is becoming increasingly important.” However, this means our computer systems are vulnerable to attack, as last month’s attack exposed. “I think it was a wake-up call. It caused a lot of disruption but had it been more targeted against the NHS then it really could have caused mayhem. So my view is they probably got off lightly compared to what could have happened,” says Prof Clark. Federal and defense agencies continue to approach cybersecurity spending on a project-based basis, hampering the organization’s potential to harness a holistic strategy, according to the 2017 edition of Cisco’s Annual Cybersecurity Report. Analyzing responses from 433 private-sector respondents and 59 public-sector respondents, the tech company found 54 percent of the public-sector organizations surveyed acquired cybersecurity solutions piecemeal, addressing specific concerns but not correcting a cybersecurity posture with exploitable gaps. Only 28 percent of public-sector organizations followed an enterprise architecture approach, indicating that cybersecurity acquisition decisions are reactive to specific threats rather than paving the way for products, practices and tools that can expand to apply automated infrastructure to the needs of the entire organization. According to the survey, budget, current workloads, organizational culture and lack of trained personnel remain the top hurdles restricting federal agencies from implementing a platform-based approach to cybersecurity. Mobile devices and cloud infrastructure are expanding the attack surface and endpoints to protect, and as the threat landscape expands so does the perimeter that must be secured. A majority of respondents feel senior leadership acknowledges this and makes it a high priority, but the private sector still boasts more confidence in the clarity of roles and efficiency of tools in security programs.